William Frick & Company’s new RFID label enables accurate and efficient asset tracking of high-voltage insulators as electric utilities seek to modernize the transmission grid. William Frick & Company, a leading supplier of specialty identification products including Radio Frequency Identification (RFID) tags and labels, expands its SmartMark™ product line with the addition of the new WF-SM-SI01 insulator label. As electric utilities, including transmission and distribution companies, modernize power grids, many are discovering the advantages of outfitting insulators and other equipment with RFID tags and labels for future maintenance and inventory tracking purposes. Management, deployment, and replacement of insulators using RFID brings accuracy and efficiency to the process of power delivery. Specifically designed for industrial insulators, the SmartMark WF-SM-SI01 features a passive UHF RFID antenna with a long read range of up to 35 feet. Utilities employ the WF-SM-SI01 using a standard RFID reader—no special equipment or battery-powered tags required. Insulators and other assets can be tracked as they enter and exit storage facilities/yards. Once deployed out in the field, the label’s long read range enables tracking of the overhead and long-distance assets. 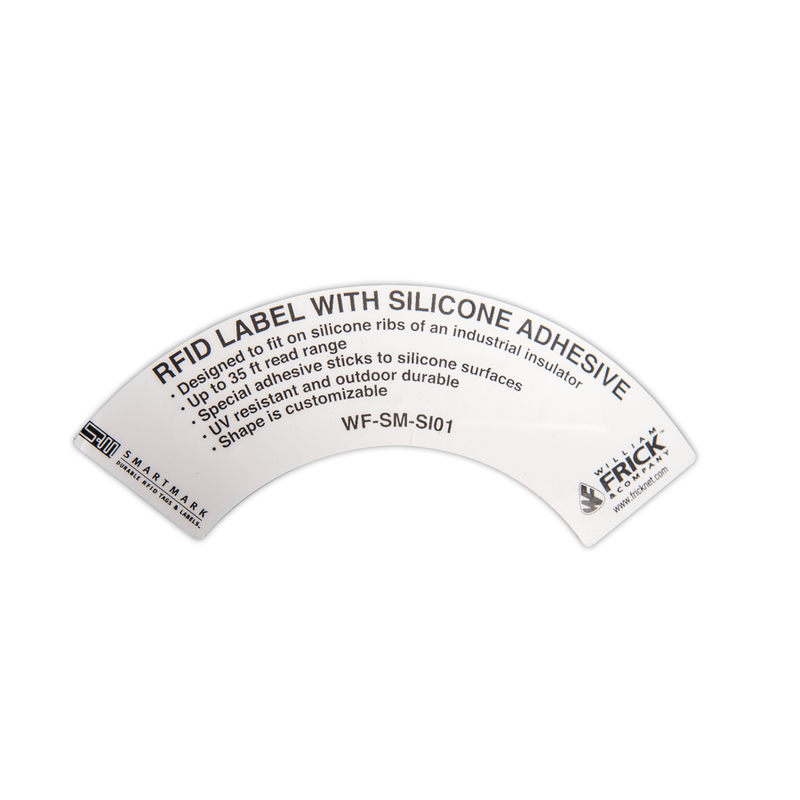 Additionally, the WF-SM-SI01 offers excellent adhesive properties, a great solution for silicone and polymer (composite/ceramic) electric insulators known to be difficult to attach a label to. The WF-SM-SI01 features a special peel-and-stick adhesive that bonds securely to insulator surfaces such as glass, porcelain, or silicone. 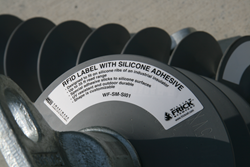 For more information about the WF-SM-SI01 Insulator Tag, contact William Frick & Company at (847) 918-3700. For companies interested in an RFID-based asset management system and software app, learn more about Frick’s GIS-compatible SmartCAT™ RFID asset management system. Go to http://www.smartcatrfid.com complete details. William Frick & Company is a customer-driven ISO 9001:2008-certified manufacturer of specialty identification products such as RFID tags, barcode labels, signs and utility markers. Since 1975, we have been a trusted supplier to OEMs, the logistics and telecommunications industries, oil and gas companies, electric utilities, and governments. For more information, please contact us at 847-918-3700, or visit http://www.fricknet.com.